Conway Twitty And Loretta Lynn sings "God Bless America Again"
Bobby Bare sings "God Bless America Again"
"God Bless America Again" is a country music song written by Bobby Bare and Boyce Hawkins. A patriotic hymn pleading for God's forgiveness of the United States and his guidance over the country, the song was first recorded and made famous by Bare. Released as a single in 1969, Bare's version reached No. 16 on the Billboard Hot Country Singles chart. 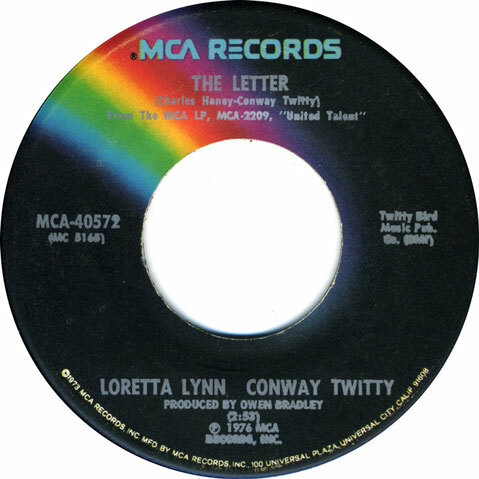 Also recording a cover version were Conway Twitty and Loretta Lynn, whose duet recording was the B-side to their No. 3 country hit "The Letter." 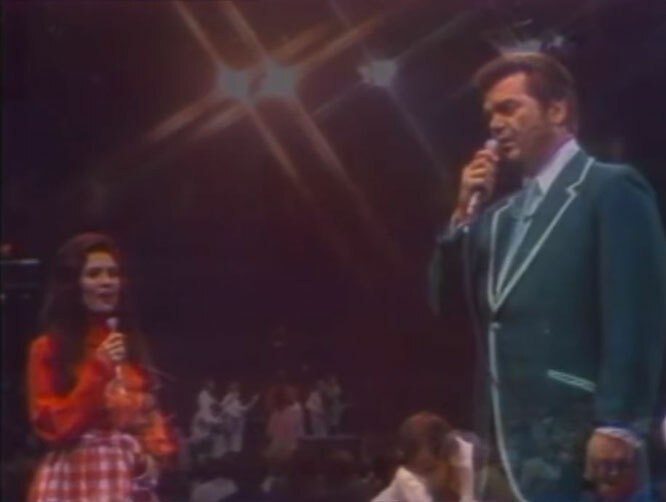 The Twitty-Lynn version, released in 1976, featured Twitty speaking the verses while Lynn sang the refrain.